Bernier a perdu une bataille! Mais Bernier n’a pas perdu la guerre! You are here: Home / NHL / Canadiens / Bernier a perdu une bataille! Mais Bernier n’a pas perdu la guerre! Just a slight twist on the more famous quote where Charles de Gaulle said France has lost the battle, but she has not lost the war. Jonathan Bernier has yet to find his groove this season. Further, for people expecting a goalie controversy in LA, it hasn’t materialized. Yes, he was a first round draft pick. Yes, he was the AHL Goaltender of the Year last season. 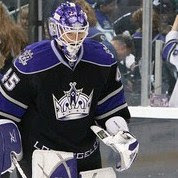 And yes, he went 3-0 during his brief appearances with the Kings last year – including a shutout in Nashville. 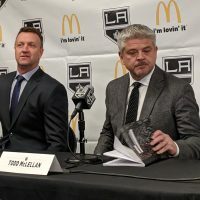 However, Coach Terry Murray went out of his way over the summer to remind everybody Jonathan Quick was the starting netminder entering this season. Just a few months ago, the thought of having two strong players available to fill the crease on any given night seemed a very real possibility though. 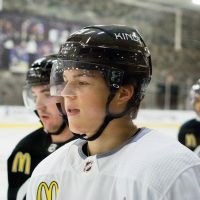 Kelly Hrudey, the Kings’ goalie when they faced off against the Montreal Canadiens in 1993 for the Stanley Cup, said “what a great scenario” when asked about the tandem. Only one problem, half the unit has been anything but great. Or even good. Bernier is 2-4. Equally disappointing, he has a .891 save percentage and 3.18 goals against average. He just hasn’t looked a thing like the guy who filled in for Quick last spring. He hasn’t looked a thing like Mr. Manchester. 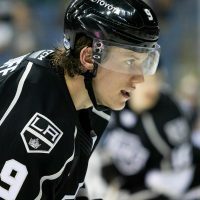 And he hasn’t looked a think like the goalie the Kings (and most fans) were expecting. Former King Marcel Dionne often talks about confidence being the key to a player’s success. Murray must subscribe to the same theory, as he’s showing tremendous support for his struggling goaltender. Tonight in Montreal, Bernier will be in a situation with plenty of pressure and plenty of motivation to succeed. If he cant rise to the occasion in his hometown, with friends and family present, how will he handle the pressure of playing down the stretch…with a possible playoff berth on the line? 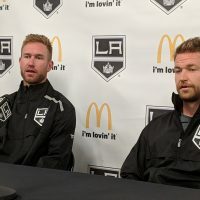 Come tomorrow morning the Kings will either be thankful that Bernier has finally found his game or thankful that Quick is their starting goalie.